Choosing wedding flowers is one of the most exciting parts of your wedding preparation. But the task requires much more than merely picking your favorite flowers and ordering them as part of your wedding day flower. 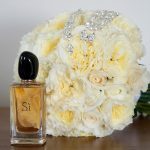 There are a few things you must consider when choosing your wedding flowers to ensure that your wedding day feel and look the best it can be. 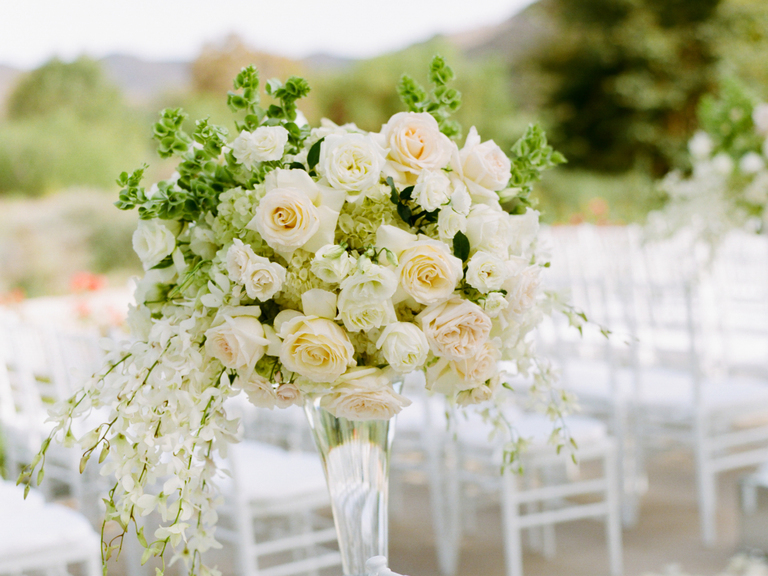 These tips are meant to provide you with the basic guide you require when choosing wedding flowers. This will make it easier for you when you finally meet with your florist to finalize the choice of your special day floral arrangements. Try to figure out what you want, and learn what it’s called, before you speak with your florist. 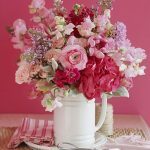 the names of flowers and the floral terms like types of bouquets cascade, posy and biedermeier wedding flower arrangements and further details. Your wedding venue and location should greatly determine your final decision when choosing wedding flowers. 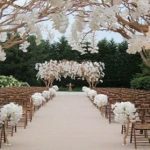 If, for instance, you’ve chosen a park, botanical garden or vineyard for your wedding, you wouldn’t need too much of flower as the environment has already provided much of the required greenery. In this kind of arrangement you would create the huge impression by going moderate while choosing wedding flowers. 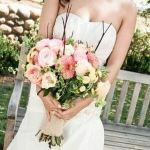 Go for flower arrangements that look more like they fit into the natural environment where the wedding is taking place. Clusters of wildflowers may not be suitable in a formal ballroom. In the same way a glamorous grouping of all-white orchids would be wrong in a country wedding setting. Also, try to put your table configuration into consideration when choosing wedding flower. That is whether you are having round tables wedding or making use of long farm tables, which can assist to boost the shape and style of your centerpieces. When choosing wedding flowers, before you conclude on a suitable florist; seek referrals from other couples especially friends, family members and neighbors. One of the best ways to get a very good florist is through the word of mouth. The wedded couple in your area may be in a better position to tell you their experience with various florists. You can as well get a good deal of information from magazines or by reading online reviews of read reviews the proposed florists. If you hired a wedding planner, you should be able to get them to offer you some inspiration with flower types and florist when choosing wedding flowers. When you have gathered a few lists of potential florists, ensure you hire a florist six to eight months before your wedding day. Florists get booked up fast, particularly if your wedding falls during a peak season. It is better to start the process choosing wedding flower early enough to ensure that everything goes as expected when the time finally comes. What this means is that there are varieties of different types of wedding experts that deal with flowers. 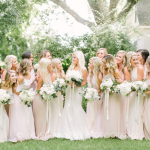 You need to consider if you want a florist who will not only help to put together your wedding flower arrangement but also someone who will assist you to plan the design of your reception tables and ceremony aisle flower arrangement. If that is what you want, your best bet when choosing your wedding flower is to go for florist designer. However, if you already have a wedding planner and are only looking for a florist to arrange your wedding flower, what you would need would be a standard florist. Decide on what would suit you and your need best. Once you’ve done that, it will help you to narrow your search and plan your budget before hand. The cost of hiring a floral designer is usually much more than that of a standard florist.